Recent advancements in Big Data and Machine Learning (ML) have triggered progressive adoption of Artificial Intelligence (AI) in the enterprise domains to address growing business process complexity. What is yet largely missing in the traditional Business Process Management (BPM) approaches, are formal frameworks and guidelines for decision making support when applying AI in a company. 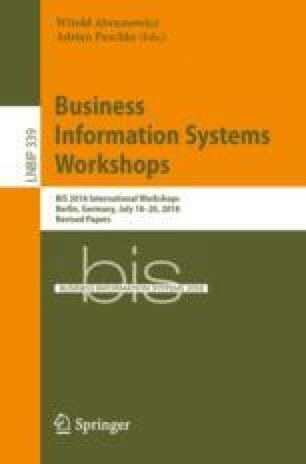 Proposed research aims to extend existing BPM frameworks and guidelines by novel methods, this way increasing understanding of business processes in the view of recent technology developments in Big Data, AI and ML.